The aim of the conference is to provide education in the field of football injuries, focusing on some of the specific challenges and controversial topics. 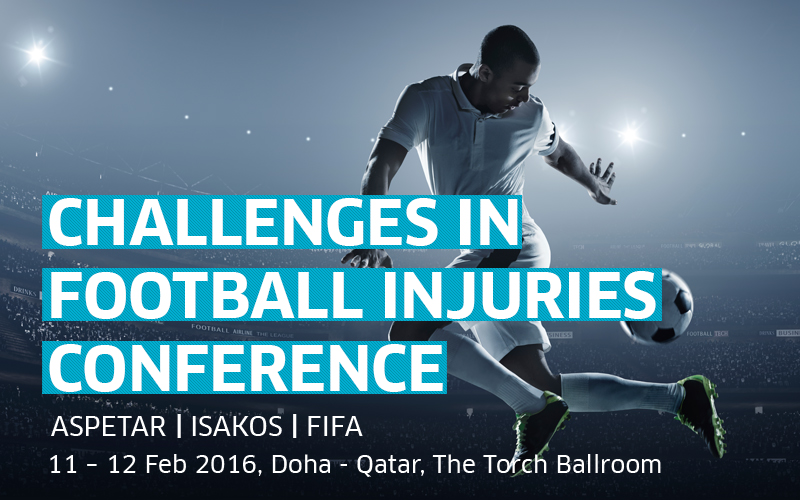 Aspetar, ISAKOS and FIFA Medical Committee will bring together experts to present the current concepts and to share their experiences. In addition to the lectures, cases discussion and surgical cadaveric demonstrations will be provided. ACL Lesions & Rotation Instability. Is this a special problem in football? What to do when the meniscus has disappeared? Can we go back to play after HTO? Is the syndesmosis an ugly duck in football? Osteochondral defects of the ankle: Is football a risk factor? English. No simultaneous translation will be available.